Know someone looking for a job? Community Job Fair on February 12th! Are you looking for a rewarding, life changing career that will allow you to be hands-on and provides numerous opportunities for learning and growth? Join Kenton Brothers on Tuesday, February 12th from 9am – 12pm for a Community Job Fair at the Guadalupe Center of Kansas City located at 1512 Vanbrunt Boulevard in Kansas City, Missouri. Kenton Brothers is partnering with the Guadalupe Center as well as various local businesses to provide opportunities for those in the community to gain respectable, blue-collar employment. Jobs where they can learn a valuable trade and skills. It’s very important to us that we build up, and support, our community. Kenton Brothers sees no better way to give back to the community than by offering a Locksmith Apprenticeship to a hardworking, mechanically inclined individual that wishes to be a part of an amazing culture and organization. No experience is necessary for this position, as we hope to find a dedicated apprentice whom finds value in learning a trade. We hope to see you at the Job Fair on February 12th! Please bring a copy of your resume and contact information for an opportunity to be part of the #KBWAY! 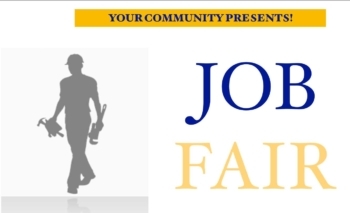 https://kentonbrothers.com/wp-content/uploads/2019/01/Job-Fair.jpg 809 1331 Kristen Harper https://kentonbrothers.com/wp-content/uploads/2017/10/Kenton-Brothers-Logo.jpg Kristen Harper2019-02-06 06:00:482019-02-25 12:25:46Know someone looking for a job? Community Job Fair on February 12th!